Greta Plattry was born Margarete Hutschnecker in Berlin, Germany on February 15, 1909. She married Fredrich Plattring in 1931 and had a daughter, Gabrielle, around 1934. They came to New York in February 1937, where her parents and brother Leo had been living since 1935. 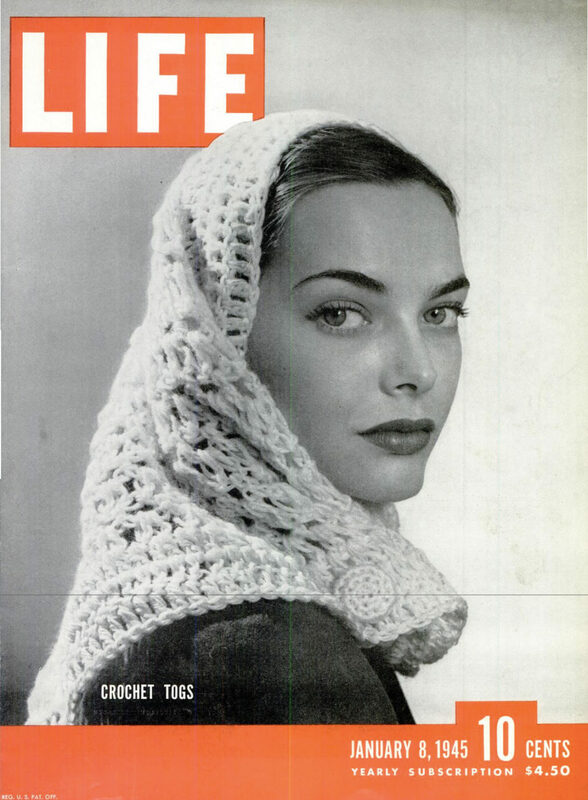 By 1940 she and her husband were separated, and she and Gabrielle were living in Manhattan with Leo, who at that time was an interior designer, and their parents. 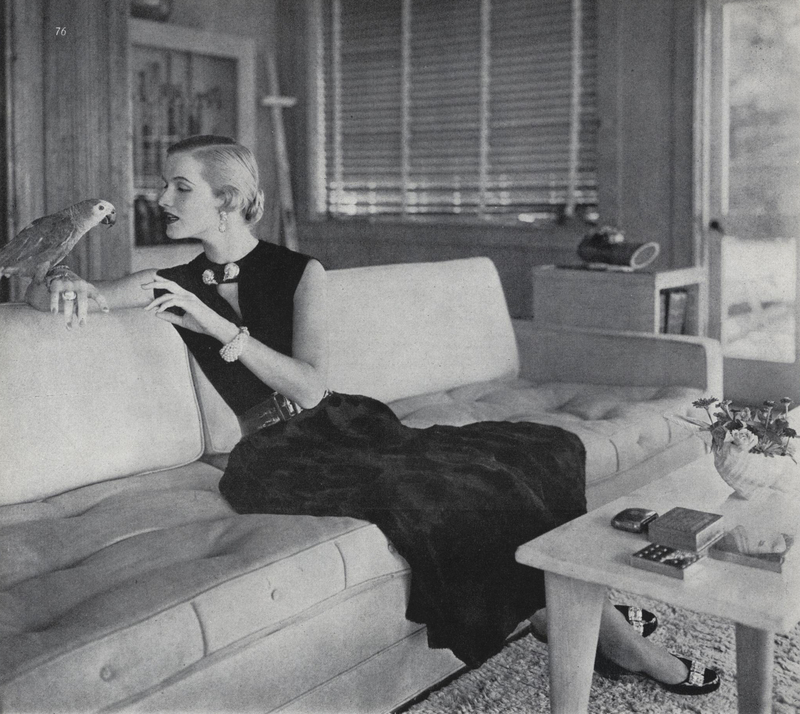 They divorced in 1941 and for the first time on public record she claimed “designer” instead of “housewife” as her occupation and gave her last name as Plattry. 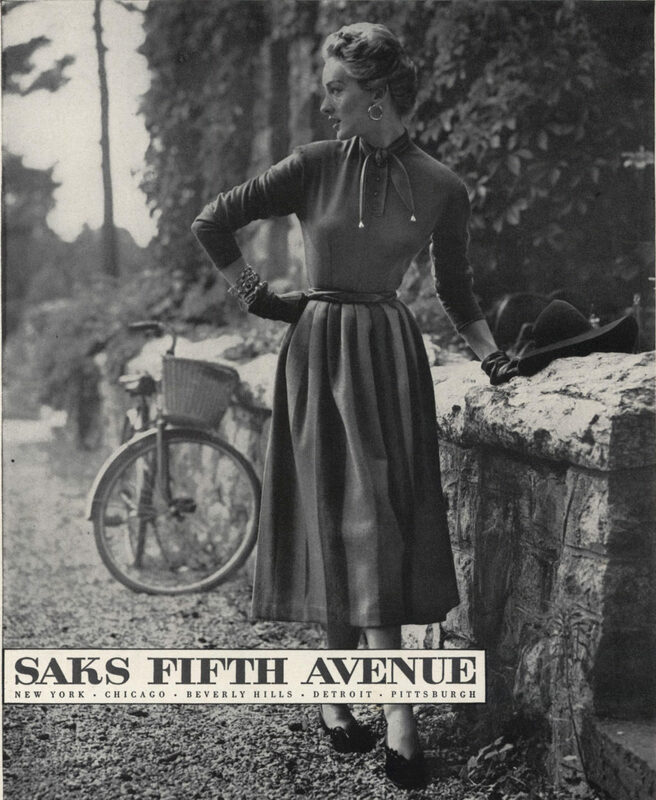 She started in 1940 selling crocheted garments like snoods, gloves, sweaters, vests, hats and halter tops, and by 1943 she was selling her goods in Saks Fifth Avenue, where a hat would sell for $3; an ascot, $5. 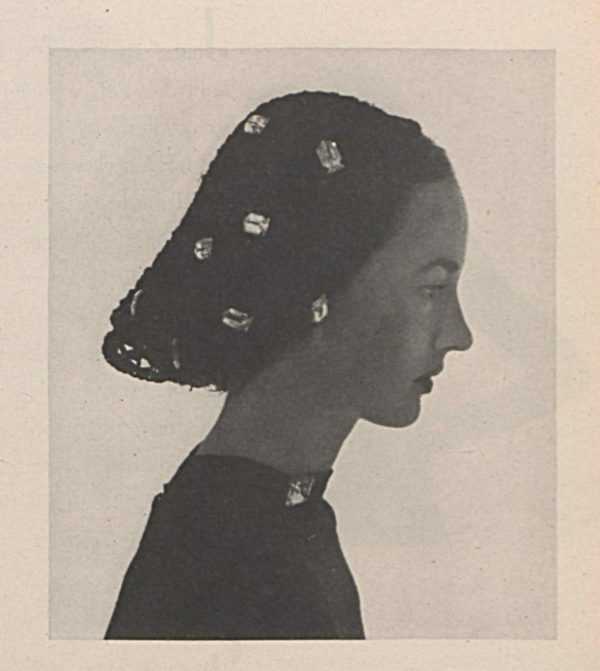 A jeweled “head dress, for glamour nights” she’d designed appeared in Vogue in 1944, and her work was featured on the cover of Life Magazine in 1945. My hunch is that, like other women designers I’ve written about, Greta didn’t just “decide” to start this crochet business like this article states. She likely found herself a single mother in need of a means of support. But that’s purely speculation on my part. 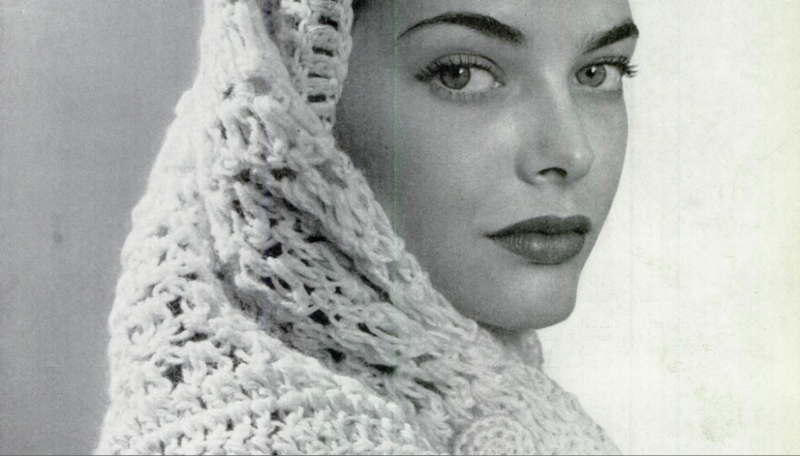 and in 1954 she created a line of clothing based on the film Brigadoon, with Scottish plaids, kilts and knee socks. 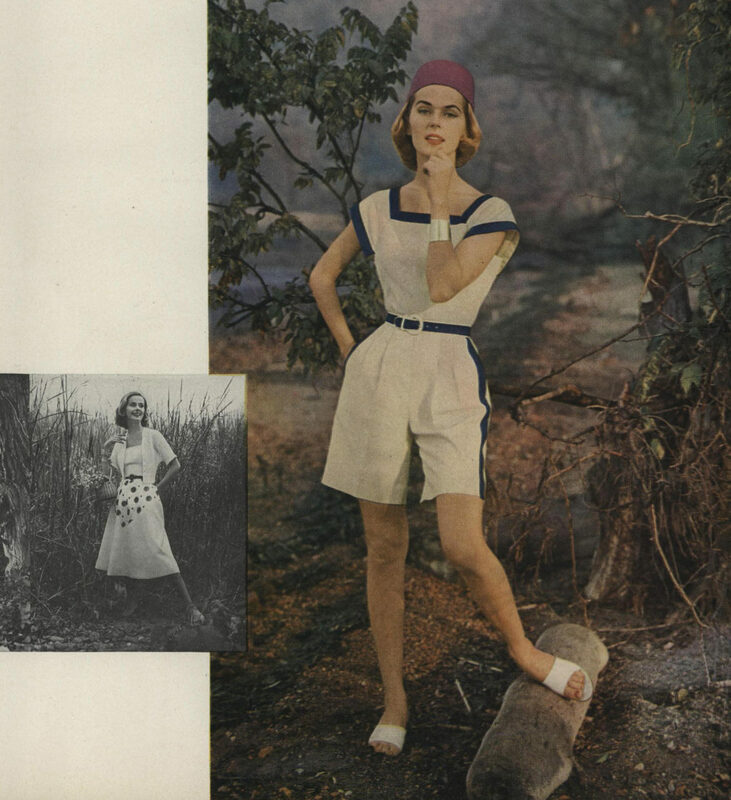 She designed separates, dresses, playsuits and coordinating pieces under her own label until 1974 (some sources say 1966, but I couldn’t find any evidence of that, though I did find a “Greta Plattry for Alfred George ad from 1965), when she designed for Teal Traina. Plattry retired in the late 1970s and died in Connecticut in 2006.